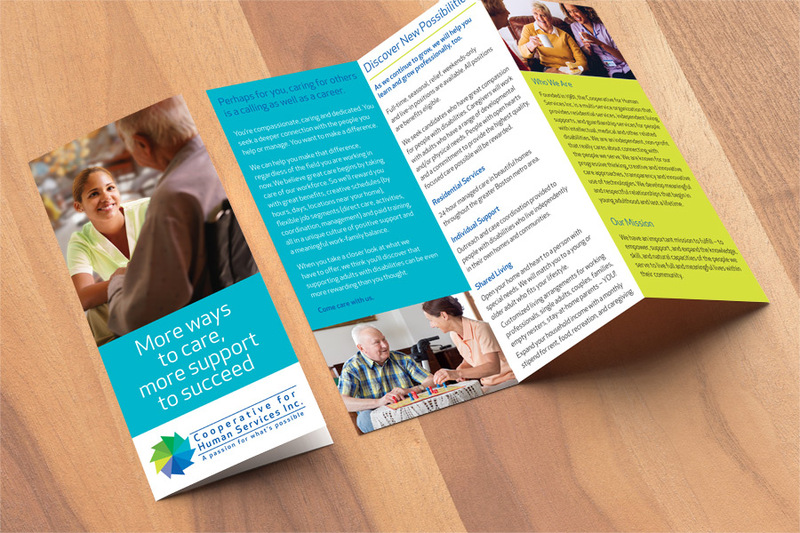 We recently created a website and expanded branding for Cooperative for Human Services. We designed and produced a retractable tradeshow bannerstand, and also did these tri-fold brochures for their job fairs for employee recruitment. We also provided copy writing services to come up with catchy headlines.